If you love to swim, you are probably looking forward to summer. If you aren’t looking forward to swimming in the summer, perhaps you need reasons to go swimming. If you enjoy exercising, then you should definitely be looking forward to swimming this summer. Face it, treadmills are boring as can be and dumbbells have zero excitement. Swimming is fun and a great way to get a workout. As winter comes to an end, many of you are desperately trying to find ways to get that bikini body back, the one you lost over the holidays this last winter. One way to get back in shape is by swimming. 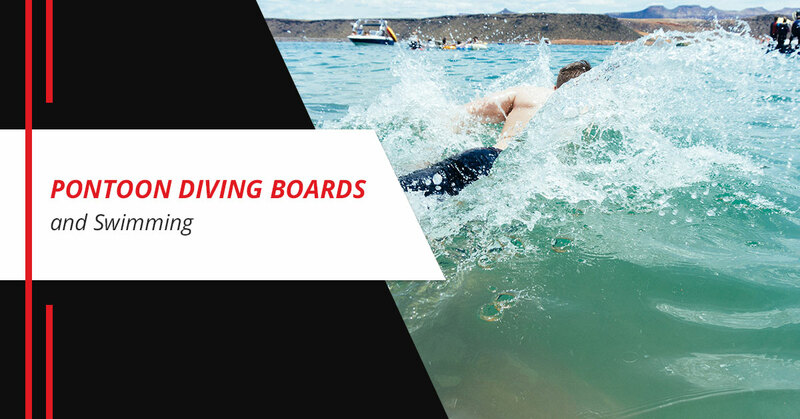 And since you bought a pontoon diving board from Lillipad Marine, you have even more reasons to love swimming. But if you aren’t all that excited about swimming, here are a few reasons that might change your attitude. Most sports cost money to play. And even if they are free, you must pay for equipment. Swimming isn’t like that. All you need to go swimming is a pair of swim trunks or a swimsuit. You don’t have to buy pads, cleated shoes a helmet or a bag of clubs to go swimming. If you have a boat, swimming is as easy as jumping into the water. Sure, a lot of activities burn calories, but not as much as swimming. One hour of moderate swimming can burn as many as 500 calories. Even jogging won’t burn as many calories. And swimming revs up your metabolism, so you continue to burn calories when you step out of the water. When you go to the park to exercise, you basically have three options: Walking, jogging and running. When you go for a swim, you have plenty of options. When it comes to working out in the pool, your choices are almost endless. There are several strokes you can swim, you can kick around and pull using the wall or your boat and plenty of other ways to get in a good workout. You can even play games in the water and benefit tremendously. Jumping into the water is quite refreshing. It sure beats sweating it out jogging through the park. Outdoor exercise can be too cold, too hot or otherwise uncomfortable. Swimming is quite comfortable and enjoyable. Water is 784 times denser than air, so swimming is a very effective way of toning your muscles. Certainly more so than the exercises you do on land. Working out in the water provides resistance, which has an effect similar to lifting weights. But since you are in the water, you are getting that resistance over your entire body. After a good workout at the gym, you often go home feeling quite sore. Swimming is a low impact exercise and great for those who have injuries or just want to feel good after a workout. If you don’t have a diving board for your boat, Lillipad Marine can help. Visit our website.